With changing times, changing technology and changing students, the shift towards student-centered learning is becoming more apparent. One method showing positive engagement and success is competency-based education (CBE). 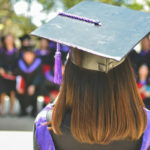 The U.S. Department of Education says “Competency-based strategies provide flexibility in the way that credit can be earned or awarded, and provide students with personalized learning opportunities.” CBE also promotes mastery of skills by allowing students to work at their own pace to gain that mastery. In other words, students will provide evidence or an artifact proving their knowledge and understanding of each competency in the class but may do so in a variety of meaningful ways and at their own pace. Striving to provide the best education and preparation for our students, the Kentucky Community and Technical College System (KCTCS) is exploring innovative methods, such as CBE, to meet student and staff needs. Adopting CBE initiatives and personalized learning to diverse populations of students across our state can seem like a daunting task to both faculty and administrators. However, identifying complementary strategies for improving efficiency, saving resources and applying consistent standards may support CBE initiatives. Badging provides a credible interface between pedagogy (competency-based education) and practice (digital badging). Badging also has great potential for broad applicability and impact across both student and faculty/staff populations. One such strategy may be the incorporation of digital badging within the curriculum for maximum impact on learning. As stated by the HASTAC (the Humanities, Arts, Science and Technology Alliance and Collaboratory), “A digital badge is a validated indicator of accomplishment, skill, quality, or interest that can be earned in many learning environments.” Digital badges are more commonly known as a graphic representation of an acquired skill or accomplishment. Badging for scouting is often used as an example. Before earning badges, scouts have to accomplish a task or show mastery of a skill. But in addition to that, someone must verify and confirm that the task or skill has been mastered. Digital badging may be able to provide the flexibility our students need while attaining consistent standards for faculty to guide and assess their learning until mastery of competencies are achieved. The badges are defined by approved goals, standards, or skills. Once students have met all requirements, and have proof of the accomplishment, faculty can review for mastery. If mastery is determined the badge is awarded. If not, the student continues to learn and improve until the badge is awarded. A 2015 article on ISTE.com states “Digital badges have the potential to be the effective and flexible tools teachers have long sought to guide, recognize, assess and spur learning. And they can recognize the soft skills not captured by standardized tests, such as critical or innovative thinking, teamwork or effective communication.” A single badge or a combination of a set of badges can lead to the mastery and completion of a competency. Learning can happen anywhere, in or out of the classroom, and it can be formal or non-formal in nature. As CBE allows for personalized choices for attaining goals, infusing badging strategies can and should include learning obtained outside of the classroom and incorporate personal preferences to make the learning more meaningful to the student. Therefore, noted accomplishments such as leadership, critical thinking skills, or any variety of other soft or hard skills that are valued by employers can also earn a badge. To help create a robust badging ecosystem, or constellation as it’s more commonly called, we hope to engage local employers, museums, libraries, etc. in creating and issuing badges for students to include in their digital portfolio or resume. Digital badges have the potential to be very versatile. When established with credible validity and perceived with educational value we can see many uses for them. Badging can help motivate and encourage students by allowing them to earn and display recognition for achieving goals along the way. As badges are awarded, students can show their success by displaying them on social media or in an electronic badge backpack. Once displayed, viewers (including employers) can click the badge to see the evidence of obtaining the badge along with information on the issuer of the badge. This has great potential to match students with specific skills employers need and want. Combining CBE with digital badges also appears to lead to the best practice of students creating a digital portfolio to display accomplishments. 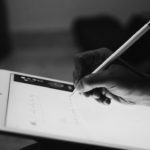 Having a portable digital portfolio allows students to conveniently display their work and progress to prospective employees or clients. Take this one step further and overlay digital badges that were earned by producing the artifacts in the portfolio. This published work in the portfolio is the evidence linked to the digital badge. Adding the digital badge portfolio of accomplishments to academic credentials earned provides employers with a more complete picture of skills and ability to ensure the best fit for success. As badging becomes more recognized, another valid use could be credit for prior learning especially for returning students. Badges may show that they have already obtained skills, and credit toward a degree could be applied. Or they may be able to earn the badges more quickly saving them time and money. Both advantages have potential for reaching new students who do not have a degree but have many of the skills for a degree. Besides students, we can also see uses of badges for faculty and staff learning opportunities and recognition. Badges could allow them to keep track of structured and non-structured professional development they gain throughout the year. 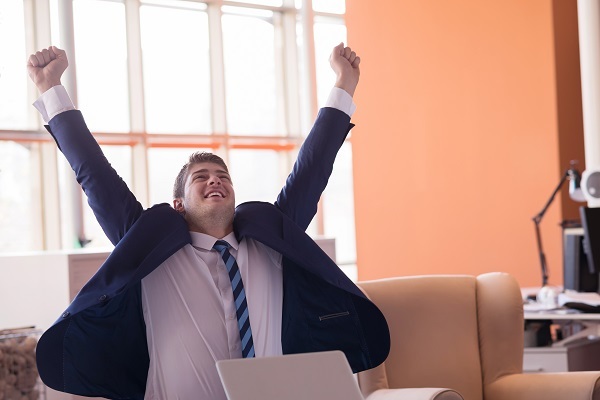 Additionally, in some instances, gamification in the form of leaderboards can be introduced to encourage motivation and self-learning. Managers or supervisors could use badges to identify skills needed to be successful in positions. 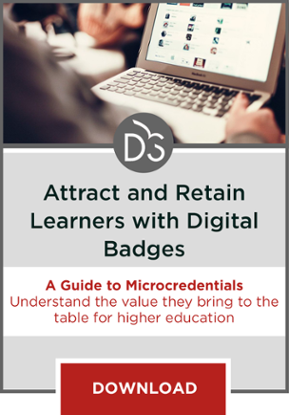 This could also encourage faculty and staff to work towards badges for career advancement purposes, ultimately incentivizing the accumulation of badges. At KCTCS, potential badging includes recognition for participation in year-long events such as work groups and/or task forces, peer groups and committees, and projects that have quantifiable, measurable outcomes with a guided structure and work plan. As KCTCS seeks to fully realize the pedagogy inherent in competency-based education, it also hopes to explore more innovative ways to quantify the CBE outcomes. Digital badging provides one methodology of particular interest and promise. Initial studies of badges in education as well as business show promising positive results. As we continue to explore innovative methods and strategies to engage faculty, staff and students, we will further examine badges and their uses. We hope to engage faculty, staff, students and the community in the conversation to ensure both meaning and value associated with badges. As for complementary to competency-based education, our hunch would be that more KCTCS students will have a stronger drive and appreciate their learning and understanding beyond the letter grade. Strategies like service-based learning and community-based learning projects lead to stronger connections to issues or successes in local neighborhoods. In addition, with these “real-life” projects, students learn skills that could never be taught in a classroom. When students are prepared with documented experiences and mastery of skills combined with their academic success, they can rest assured that they are ready to move forward. 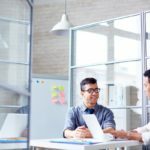 Whether it is continuing their studies, entering the career they dream of, or starting their own business, they can be confident that they are prepared to take that next step.